The 2014 AFC Challenge Cup started last December 11, 2012 in AFC House in Kuala Lumpur, Malaysia. Now! our very own Philippine Football Team will start their game on Friday, March 22, at the Rizal Memorial Stadium. Philippine Azkals will face the Brunei team in Group E qualifying matches. 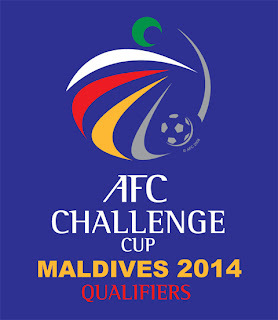 AFC Challenge Cup 2014 Group E will be played from 22–26 of March 2013. Each group, the teams are ranked according to points, 3 points for a win, 1 point for a tie, 0 points for a loss, according to official page of AFC Challenge Cup 2014 from Wikipedia. If you're looking for ticket prices details in every game, you can be purchased at any Ticketworld outlets and via online. For the meantime, if you like the information about 2014 AFC Challenge Cup Qualifiers Azkals Schedules, please bookmark this page and share it to your friends on Facebook, Twitter and Google+. Comments or suggestions about "2014 AFC Challenge Cup Qualifiers Azkals Schedules" is important to us, you may share it by using the comment box below.